I don't know where Philip Bump stands regarding Donald Trump, but he very well summarizes the motivations of Trump and many of his conservative supporters. And he notes that many of Trump's voters are growing frustrated. Consider the reaction of Erick Erickson, a conservative commentator whose relationship with Trump's presidency has run more cold than hot. His reaction to Trump's letter to Pelosi came in a blog post that consisted of a headline, a picture and three sentences. The headline was "This Letter From Trump to Pelosi May Be the Greatest Letter of His Presidency." The third sentence was "His letter is hilarious." The image was a large, laughing face. No he doesn't, and what he does do is not even not good enough. The last time I checked, the President's job wasn't primarily to hurt or taunt people, but to protect individual rights. But let's give this supporter the benefit of the doubt for a moment, and applaud her for her frankness about Trump's braggadoccio wearing thin. That said, unless Americans who dislike the Democrats for one reason or another look for a leader with higher aspirations than "owning the libs" (i.e., getting a few laughs), they will continue getting the kind of "leader" they deserve. 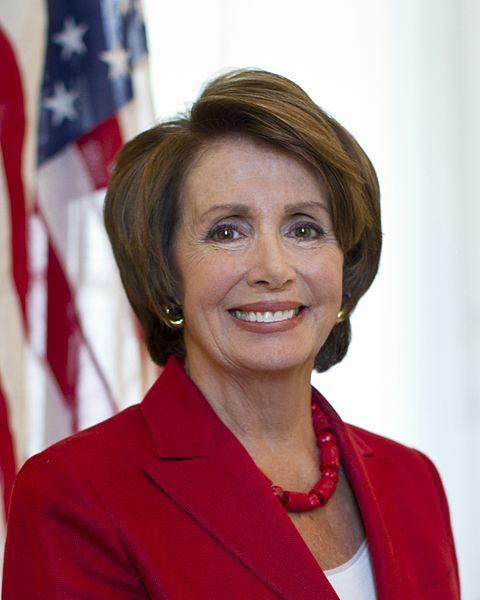 It may be fun to see the likes of Nancy Pelosi getting a taste of their own medicine, but irritating Democrats is not the same thing as defeating them. More important, it definitely fails to advance the cause of freedom, and is probably setting it back.